Today (11/5/12) I was made aware that one of my largest murals was replaced with corrugated steel and security cameras. The initial mural was designed and painted in February 2006 by myself and two other local aerosol artists. The whole process was subject to rigorous control regarding the mural content and the design. 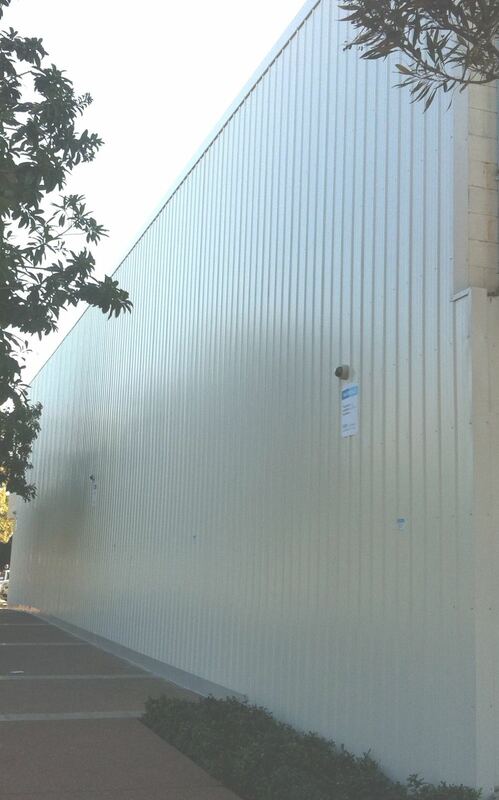 This was done to ensure the final outcome would provide a cost effective solution for graffiti prevention in the area and to ensure the then Redland Shire Council and the building owner were satisfied with the aesthetic qualities of the wall. 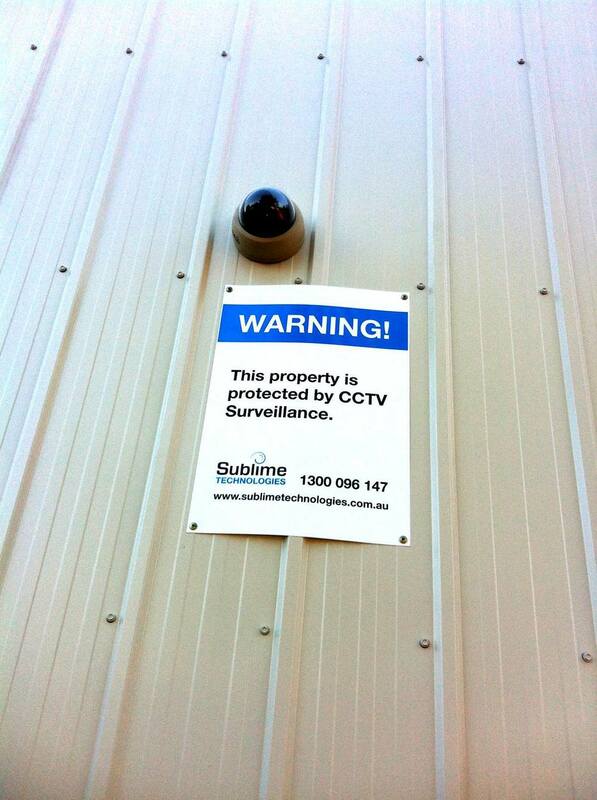 I am extremely frustrated by the installation of the cameras and corrugated steel as I was not contacted nor made aware this would be happening at any stage. Specifically with this site I had contacted council a number of times regarding the preservation of the mural as the site had deteriorated and undergone structural maintenance over time. It was also subject to some minor incidences of graffiti, however this is to be expected over the six year period which the artwork existed for in such a location. 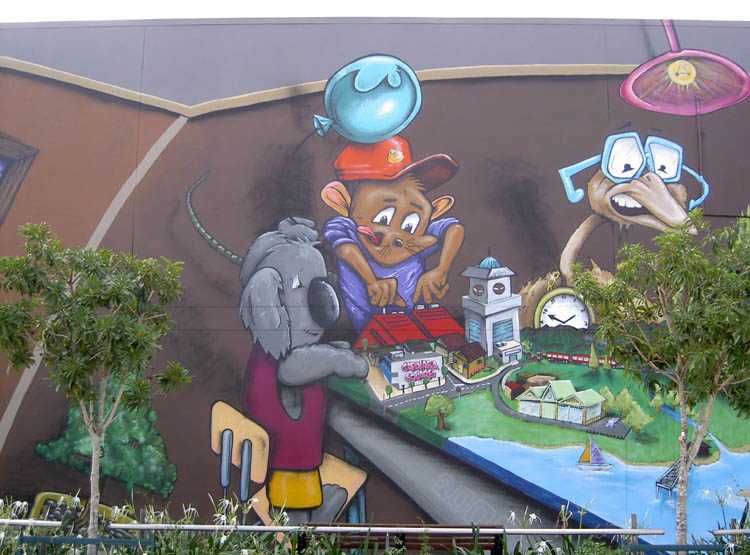 My discussions with council involved a new design for the area and in late 2010 I was commissioned to paint “New Artwork Coming Soon” which led me to believe I was still in the process of drafting a new mural for the existing site. What I find offensive about this process is the lack of adequate communication from council regarding the outcome of this site. 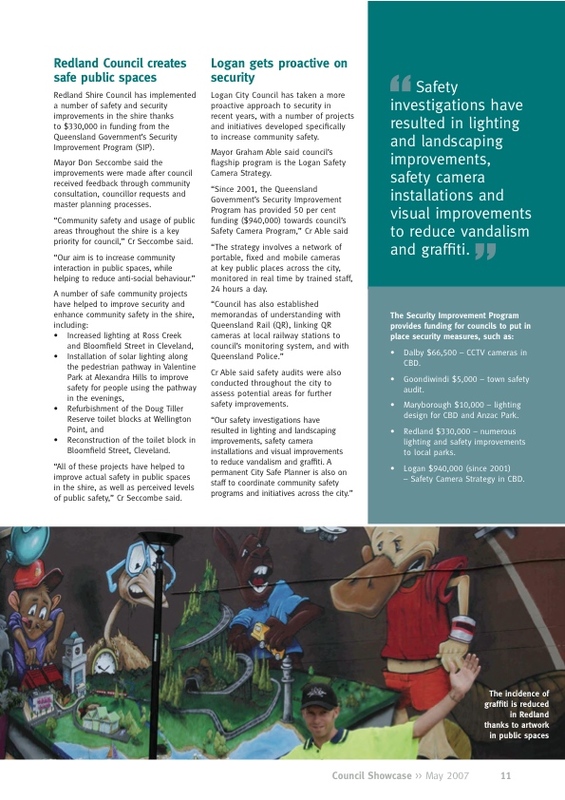 The mural has received much support from local community members and has been method of successful graffiti prevention. The council liked it so much it was featured in the Annual Budget for 2005-06 and specified “The incidence of graffiti is reduced in Redland thanks to artwork in public spaces” It was also pictured in Our City Our Culture a ten year cultural Plan adopted by Redland City Council where it was used to depict a statement about inclusvity of culture and youth. 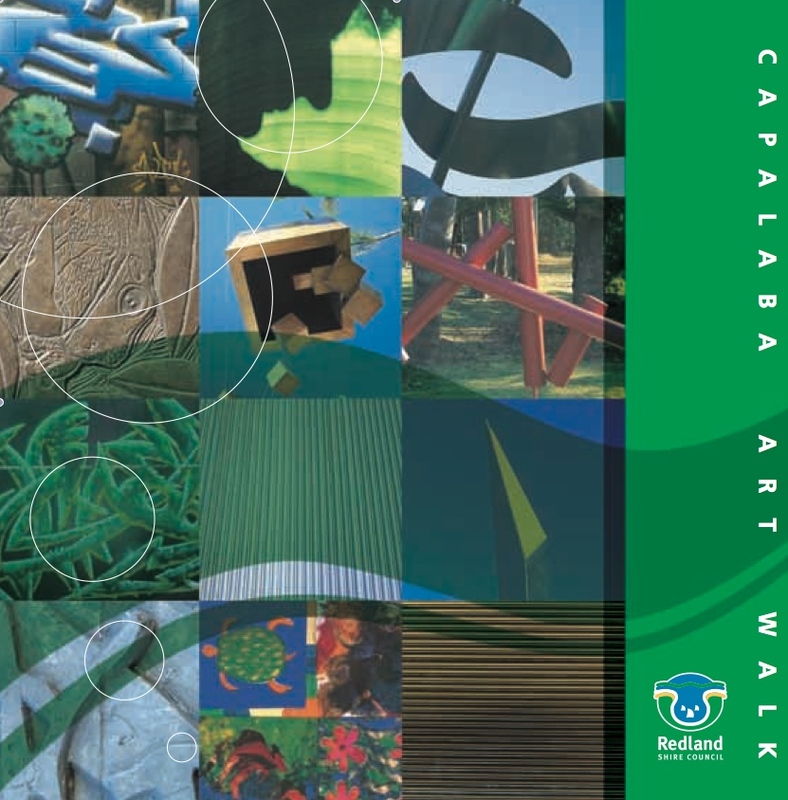 It was also featured in (Un)Commissioned Art an A-Z of Australian Graffiti written by Christine Dew as legitimate piece of public art, defining it as a colourful contribution to the area. The most disappointing outcome of this site is the removal of legitimate artwork, which provided colour and a break from the dull and drab monotones of the urban landscape. The artwork was the result of three creative and talented people and with adequate communication from council’s behalf I am sure we could have arrived at a more satisfying outcome for all stakeholders involved. The irony of this, is the removal of artwork which featured a koala. Recent steps taken by council show much support for koalas and public art with the “Environmental Art Project”, focusing on youth and koalas. Where to from here? I would much appreciate your support by contacting the local Councilor for the area, Paul Gleeson on: 07 3829 8999. Feel free to leave your comments below as I would like to hear your thoughts on this matter. Below are photos of the mural, new design and the now blank wall. I have also included emails from relevant council staff, where I was dicussing the future of the wall to which I am still awiting a reply. As you are aware I have been working on a new design to freshen up the Capalaba bus interchange wall. I am keen to present my proposed concept and discuss options for funding and a timeline for installation. I am available late afternoons and would appreciate if you could please advise me of a time that may be suitable to meet. Sounds Great where would you like to meet?. I can arrange a meeting room here at council if you wish? I’m available most afternoon myself. I’ll try and work around the others schedules to make it a bit easier to bring together. If you would like to meet at council, please give me a rough time & date that suits Alex & yourself and I’ll book an available room. I would like Elise Parups RCC Community Cultural development officer to be invited to this meeting as she may be able to assist with the project by giving some information on how we can access the funds necessary for this project. 1: Cut the 2 trees back to a manageable height to allow the mural to be seen, allow lighting to penetrate the site and stop berries dropping on the concrete causing a trip hazard and jamming trolley wheels causing them to scrape the wall. 3: Allow opportunity for all stakeholders to work together to get this fantastic opportunity for a fresh new artwork happening. Public at policy (POL - 3046) states ”Encouraging collaborative arrangements between artists and design professionals in the creation and commissioning of public artworks.” but if council officers are not permitted to meet to discuss such projects, it will prove a difficult project to gain adequate support. 4: Pay for works as per agreed timeframe. The maintenance work carried out on the 8th Nov was not paid on time despite several reminders. A late fee was issued and is now also overdue. 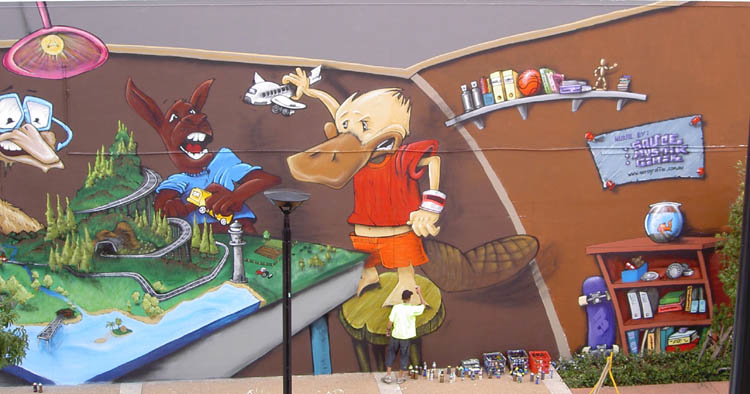 Aerograffix has previously written to council and successfully applied to be on a 28 day payment schedule. The payment terms agreed for the work undertaken were 30 day as stated on the invoice provided. PS I am again off to Tassie as I have been selected as one of nine finalists in the Sheffield International Mural Fest. Keep you eyes peeled for website updates. From the photographs supplied I have reason to believe graffiti removal has been unsuccessfully carried out at the bus interchange mural. I would like to question the reasoning in this measure as I have previously contacted yourself (see communications dated 10th Jan) about this issue with a plan and solution. In future I would appreciate to be contacted before this occurs as as stated in the initial proposal, the use of chemicals and/or a high pressure cleaning device has a damaging effect to the integrity of the artwork. Again as outlined in the proposal, it was noted the wall was not sealed with any anti-graffiti matter, making graffiti removal an inappropriate response. I am still willing to meet at your connivence to discuss and present the design concept and proposal to rejuvenate this site. It is clear the intermediate approaches are not a sufficient method dealing with this issue. Ok, so I have just heard from the building owner council was aware the mural would be covered over. The owner is currently unhappy with my stance on the matter as the they are claiming ownership of the wall which is on the boundary of the owner’s land and council owned land. However as the artwork was required to be scrutinized by the Public Art Advisory Panel, I was contracted and paid by council and all further modifications to the mural, including the words “New Artwork Coming Soon” were paid by council I assert the wall is owned and under the direction of council. Additionally, any modifications or building constructions to the site would need to be approved by council in the interests of public safety. In this case I can confirm after conversations with the building owner council was specifically made aware of the corrugated construction. At no stage was I informed the site would be modified, or my artwork would be disregarded. As I have been actively seeking communications from council and the building owner I can only express my frustration and disappointment that another quality and legitimate public artwork has been removed. Over the past decade I have built my business on the platform of legitimate and legal artwork using aerosol and graffiti styled artwork, and this is just one of the many recent set backs where a government body has provided a disincentive for all of my efforts. I don’t blame those who engage in illegal aerosol art for doing so as clearly, there are no avenues for creative individuals to express their ideas and enliven the urban landscape. Basically, if I can’t keep my artwork on wall which are paid for and praised by council, what hope have the kids got? Today we were advised By Mr McConnell the owner of the ANZ bank building that he had effected repairs to his building to try and stop some water seepages issues he was encountering at this location. As a result of these repairs that were undertaken by the ANZ Bank, the mural Council contracted you for in 2006 has been removed/sheeted over. We apologise for the late notice in notifying you of this work as we were only informed of this repair work today, our previous discussions with Mr McConnell he was still investigating his options. Council has no immediate plans for new mural works to be conducted at this site and any work conducted at this site will require a new agreement with the building owner. 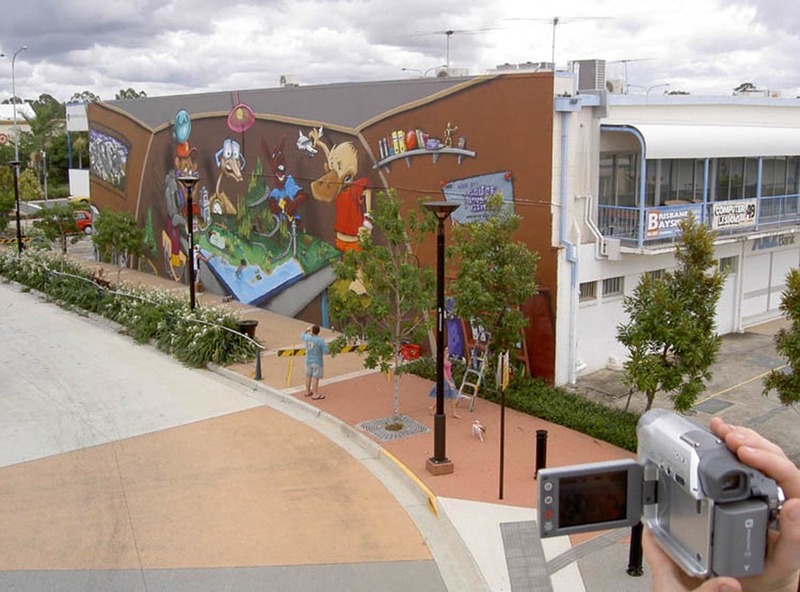 I would firstly like to express my disappointment with the current situation regarding the Capalaba Square mural. As you may be aware I contacted both yourself and the department which you work in several times in order to seek a positive solution which all stakeholders would be satisfied with regarding the preservation or rejuvenation of the artwork. I believe the current course of action taken by council regarding this site is a reflection and manifestation of how council regards the cultural community and public art in the City. I feel the need to take this situation further than yourself or the team leader of your department as the current set of actions from council indicates a grosse level of incompetence on all levels, especially communication. I understand the site does not belong to myself or my business, however as a stakeholder, I have received no form of communication regarding the corrugated steel which is now in place of the council funded mural. As mentioned, I contacted council numerous times, offering a possible solution and requested to be consulted for future measures taken by council regarding the longevity of the artwork. In November 2010 I was advised by yourself new art work would commence on the site in the near future. 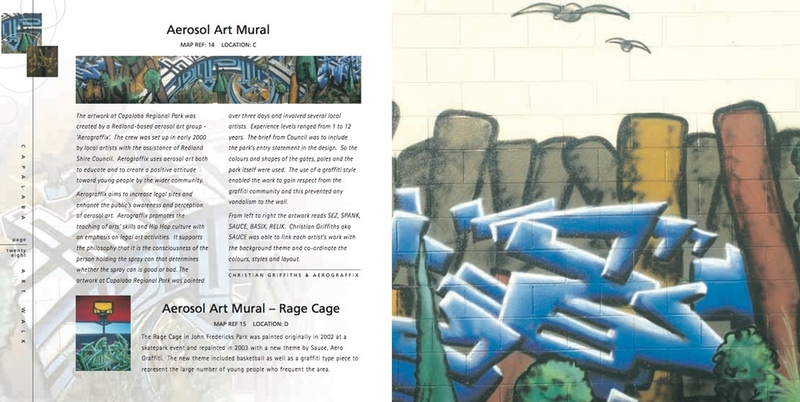 More importantly I assert the current course of action undertaken by council is not aligned with the Our City Our Culture, cultural ten year plan which the mural features in on page 16. Specifically, the plan states “Council will nurture the talents and ideas of all young residents in the Redlands to enrich the vitality of the City”. The plan goes further stating inclusivity and sustainability including well managed projects are of importance in regards to successful arts projects. A complete lack of communication from council shows disorganisation, poor management skills and an inability to follow their own jargon. I note in your email you stated “We apologise for the late notice in notifying you of this work as we were only informed of this repair work today” I assert this is not true as there is no way that amount of construction could occur on the site without council being made aware of it, due to the interests of public safety. The sheer logistics of the site demand council would need to be involved on some level. In the interests of public safety the closure of the walkway would be required, allowing construction to occur. The owner confirmed via a phone conversation you were personally aware the site would be under construction. If council was not aware construction would be occurring on the site, I further assert it is indicative of the incompetence of council and further proves council staff are unable to communicate clearly and adequately with all interested stakeholders. I assume communication is a large part of the team you are involved with and more specifically it is a part of your own job description. Furthermore this is now the third artwork created by myself and funded by council which has now been removed from the pubic area. I find this a challenging situation to be in as there are numerous glossy council brochures which extoll the greatness of council and their public safety successes utilising pictures of my artwork. This proves council is more about rhetoric than action and more specifically, how my business is being exploited by council, as in glossy brochures council appears to be accepting of my efforts, however in reality, the practices of council appear to be incongruent with this. I also state I have not given permission for council to such images and I question the legality of these practices. I also note council regularly misspells my name in such brochures or does not acknowledge myself as the artist. As a result of the current measures taken by council, I will be seeking legal advice regarding the artistic integrity of the mural created by myself and two other artists. 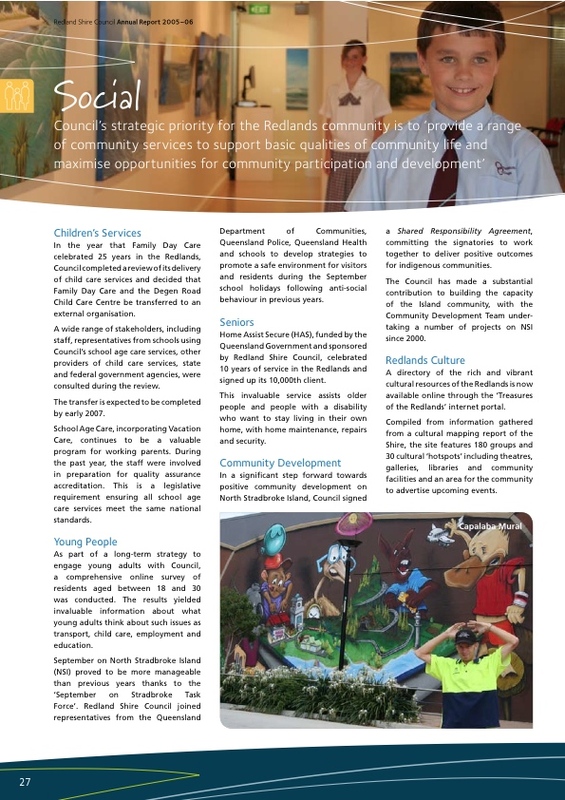 Redland Shire Council Annual Report 2005-06, page 27. Local Government Showcase May 2007, page 11. 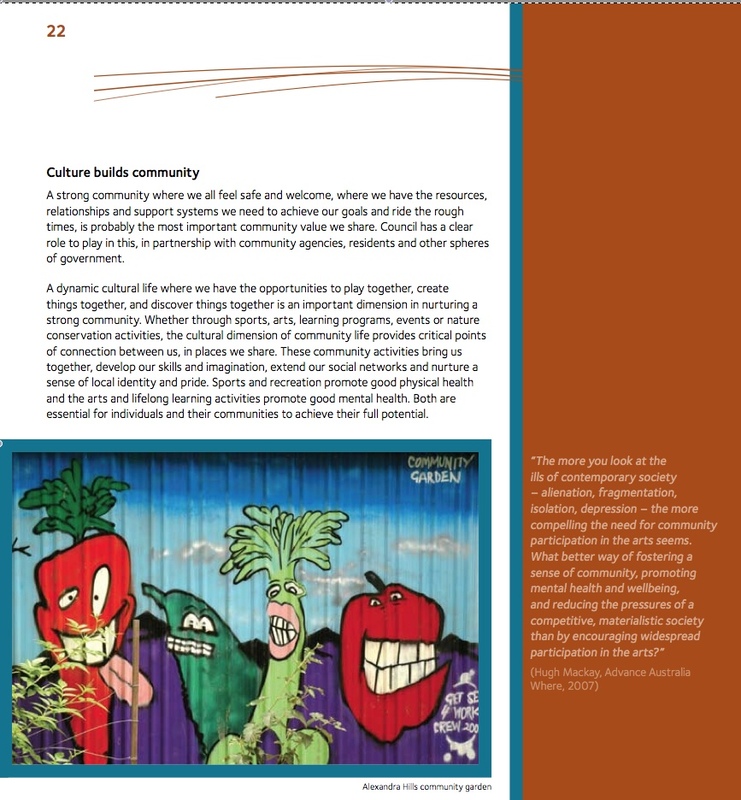 Our City Our Culture, a Cultural Plan for the Redlands 2008-2018, page 16. 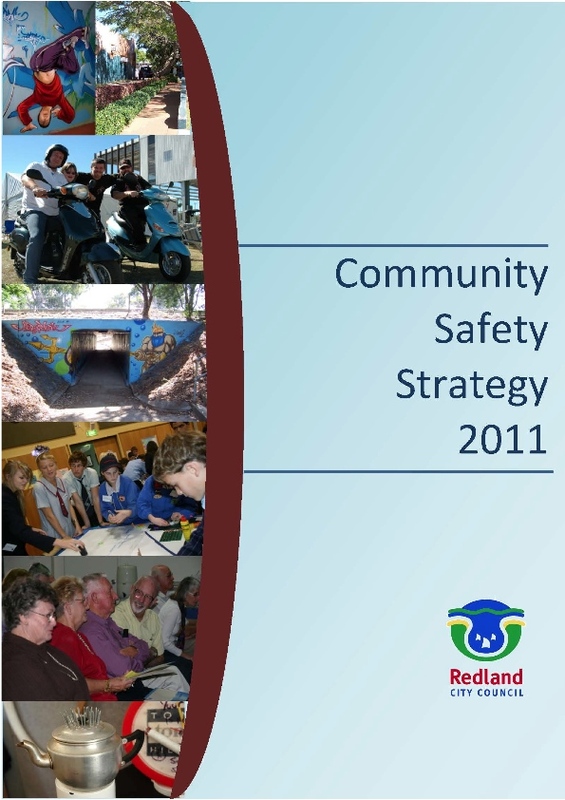 Our City Our Culture, a Cultural Plan for the Redlands 2008-2018, page 22.